Why contact information may be missing and what to do about it. The member has chosen to hide this information in their privacy preferences located under "Member settings." The member has not registered with a phone number or email address. If the member would like to display this information, they'll need to visit the "Member Settings" found in the drop-down menu beneath their name when logged in. Here, they'll want to check they've included their contact information in the "General" tab. Next, they'll need to visit the "Privacy" tab to be sure they've chosen to display this information. If they'd rather hide their phone number or primary email address they've listed in the "General" tab, they can enter a different email address or phone number to display. 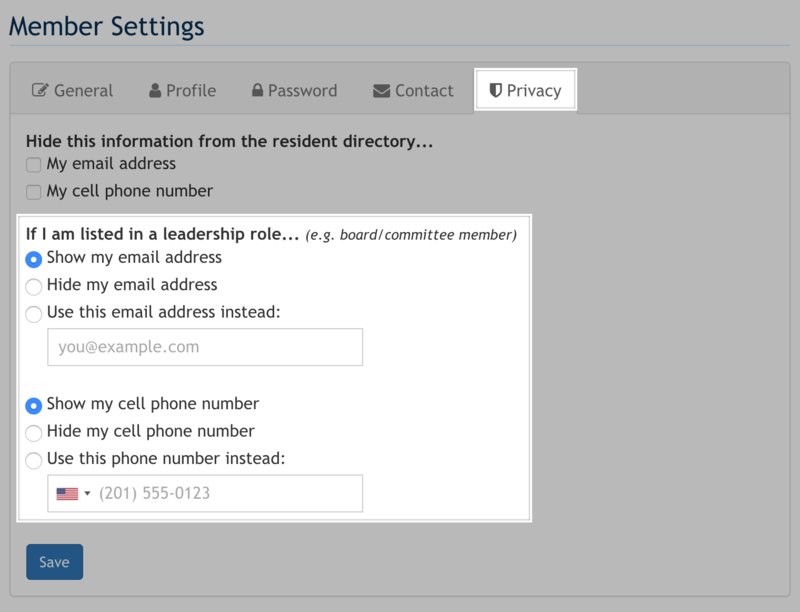 If a member did not register with an email address, an administrator with the "members" privilege can edit their profile from the "Members" section of the Admin Control Panel and add their email address. Once the email address has been added, the member can then log in and make the necessary adjustments to their contact information and privacy preferences.